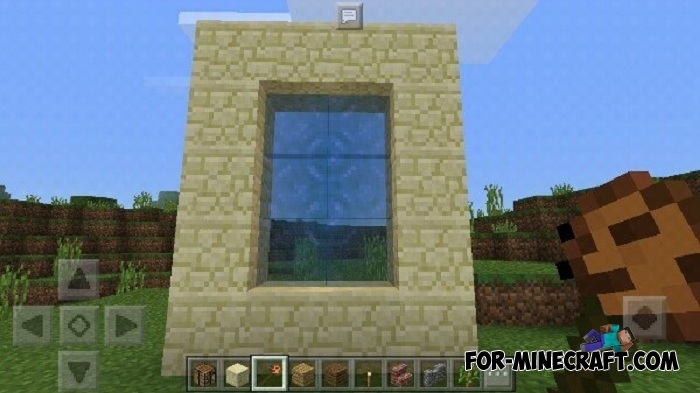 A new dimension will be added to Minecraft Pocket Edition and you will be able to visit there but... 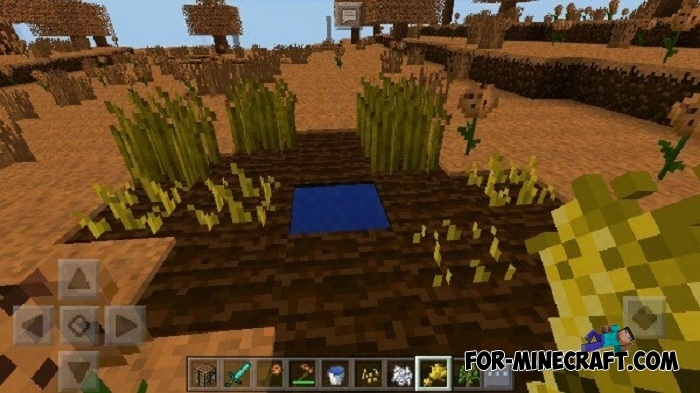 This dimension is different from what you are used to seeing in MCPE. The fact is that this is a cookie dimension meaning that everything that's there is made up of cookies! Perhaps this is the most fun and tasty place that you can find. Earth, plants, stones, items and trees - all this consists of cookies or with its addition to the composition. How to get into a new dimension? You will need a cookie staff to activate the portal so craft it first. Then build a sandstone portal like a nether portal, and turn it on with the cookie staff on the lower blocks. Important: after you teleport to a new dimension, you need to close the portal by destroying one of its parts. 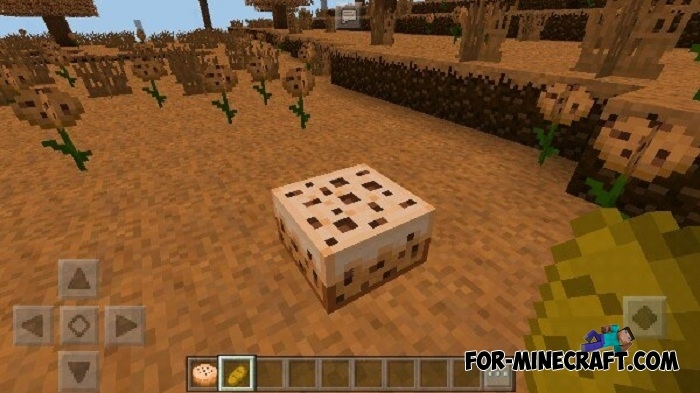 For growing cookie wheat, make a farmland on grass cookie blocks (using a cookie hoe) near the water. Cookie wheat seeds can drop from cookie grass. How to install Cookie Dimension mod?